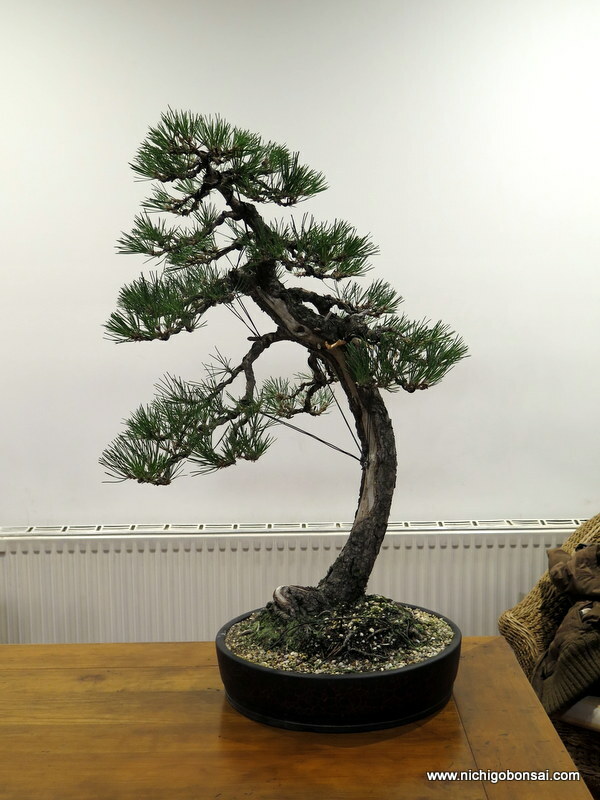 One of the trees I worked on last year was an informal upright Mugo Pine. 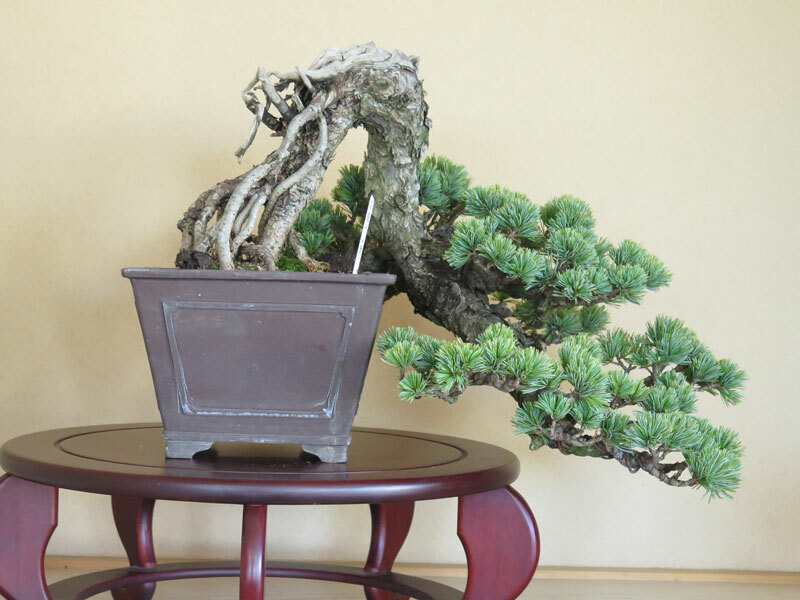 I think that it was originally received by its owner as essentially a piece of topiary. 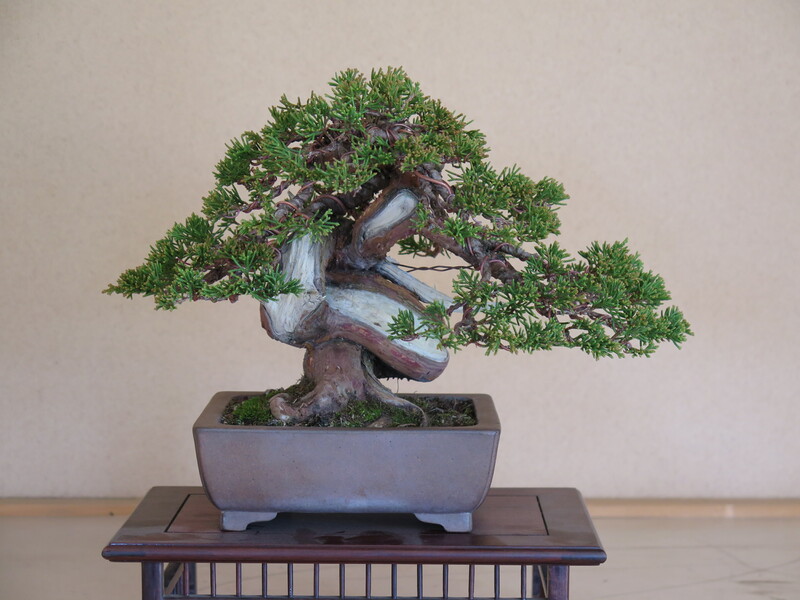 He then worked it over a few years into a bonsai form. I was asked to wire the tree and refine its image. The tree had a few issues that this round of work has tried to iron out but it will certainly benefit from further refinement as it progresses. The trees branching was incredibly dense in part due to its previous life as topiary which had lead to a large mass of ramification. 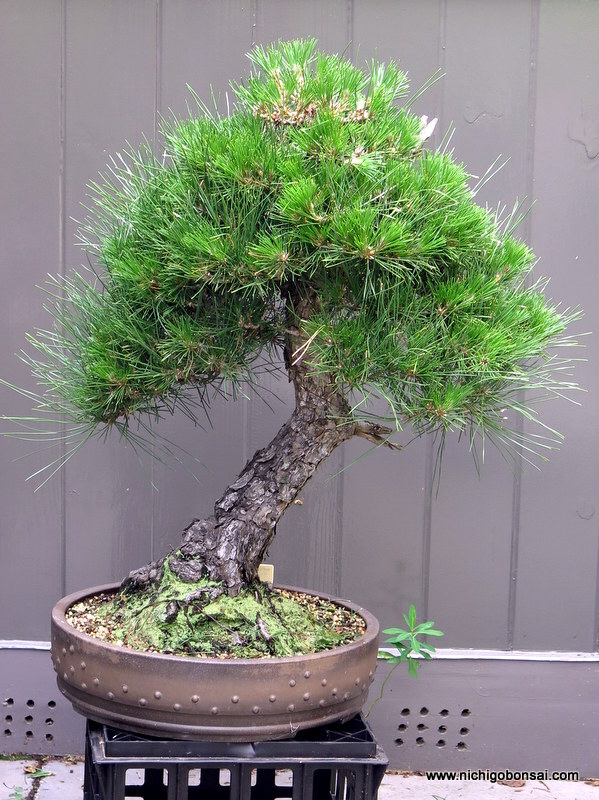 It was also compounded by the tendency of Mugo pines to have multiple shoots at each branch tip which further compounded the dense look. Multiple growing tips on a typical shoot. My first action was to remove unnecessary sub-branches and take many of the branches back to a much simpler structure which in turn reduced the foliage density. I also reduced the remaining shoots on the tips to two shoots which further reduced the density and allowed for light and air to reach into the inner structure to aid back budding. Some of the sub-branches removed from the first branch. After the pruning work the aim of the styling was to break the large pads and masses of foliage into smaller pads to create a higher level of detail and structure. The tree before the work. I ended up removing close to 50% of the foliage which lead me to go a little bit easily on any heavy bending. 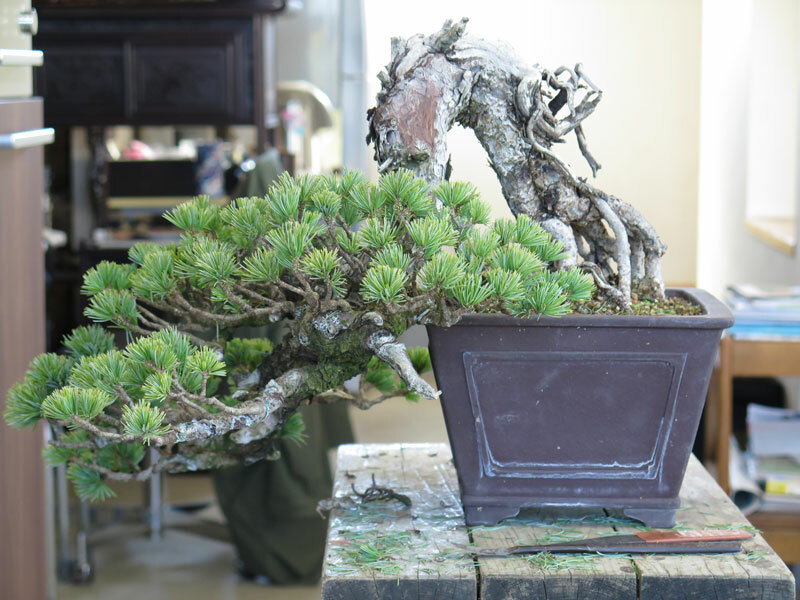 Ultimately i would like to bend the thick first and second branches down a little more than they are currently and work on some of the dead stubs that were left long to die back slowly. All in all the tree has been improved and is growing nicely into its new form. Perhaps this coming winter it will be ready for a re-visit. 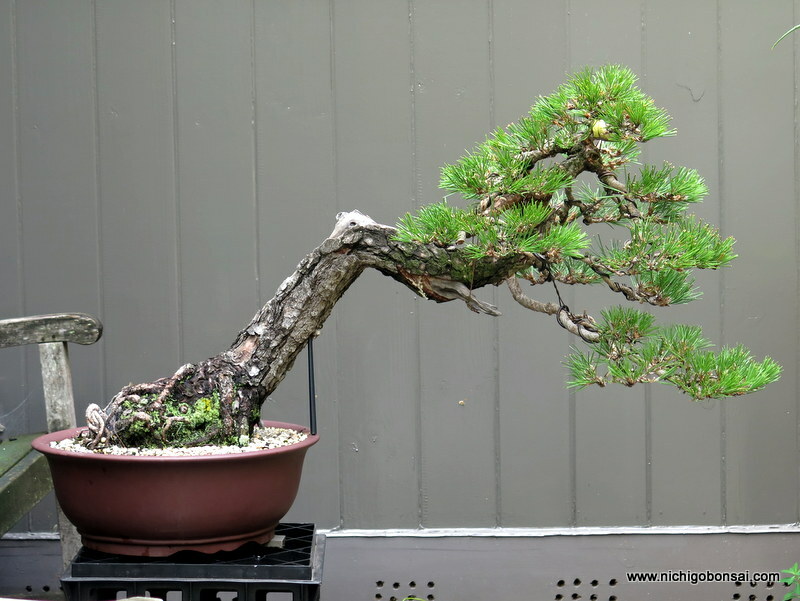 In today’s post I am hoping to explain one of the more difficult concepts of bonsai and or any art or design for that matter. It is the concept of seeing. But doesn’t everyone see? Well not exactly. I like to think that everyone ‘looks’ (except the blind) but not everyone ‘sees’. What do I mean by that? Well, I like to think that seeing involves interpreting what it is that you are looking at in a meaningful way. For example; if you were to look at a truck, you mind would see the shape and tell your brain you were looking at a truck. But really what you are looking at is a combination of shapes and forms that are all put together to form what we know as a truck. Does it have four wheels, six, eight? Twin cab, single cab? Flat tray, refrigerated? Trucks come in a range of styles and shapes and to just write it off as a ‘truck’ is missing a lot of information. I was going through my photos from my last trip to japan (almost a year ago today) and noticed a good example of me not being able to really see what was right in front of me. 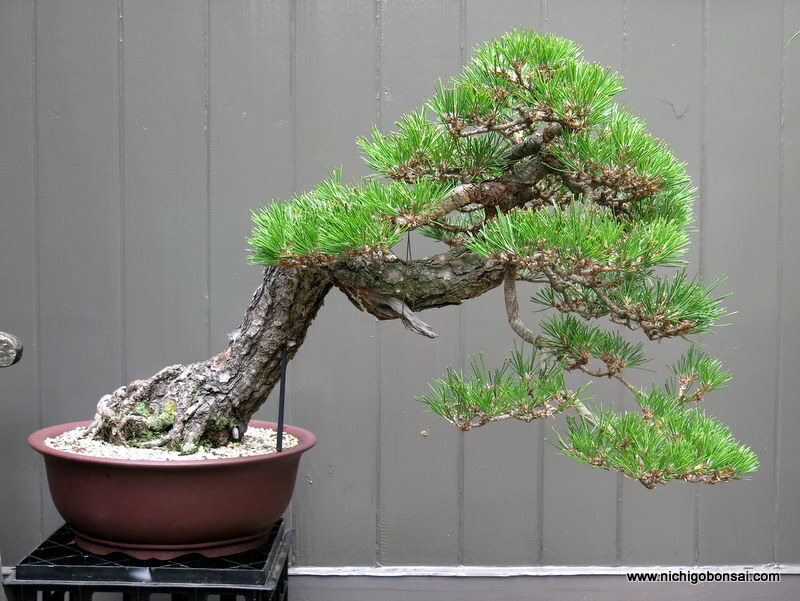 While i was in japan I worked on the below white pine while studying at Taisho-en. Firstly, I decided that from this aspect the larger root formed a very straight line which was much less obvious from the tree’s back side. So I decided on a front change. So far the styling was going to plan. New front decided, check. I then addressed the old first branch (which was now a back branch) by cutting it off. This achieved a couple of things. Firstly it removed a large heavy branch which took away from the trunks size and secondly it compacted the tree which highlighted the trunk further. 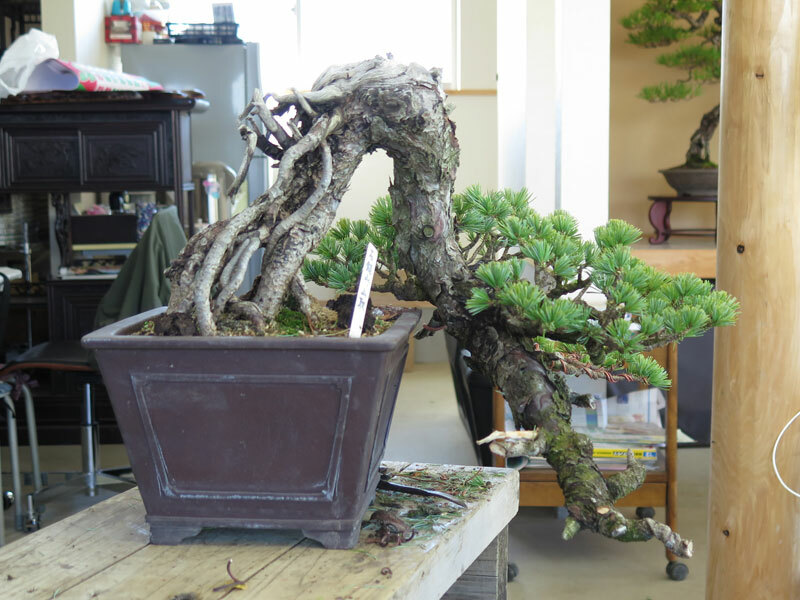 Following the cut, I cleaned the foliage and branches, worked on the jin that the cut off branch had created and also introduced some shari to the new front of the tree. I added a bunch of wire and finally came up with an image I was happy with. 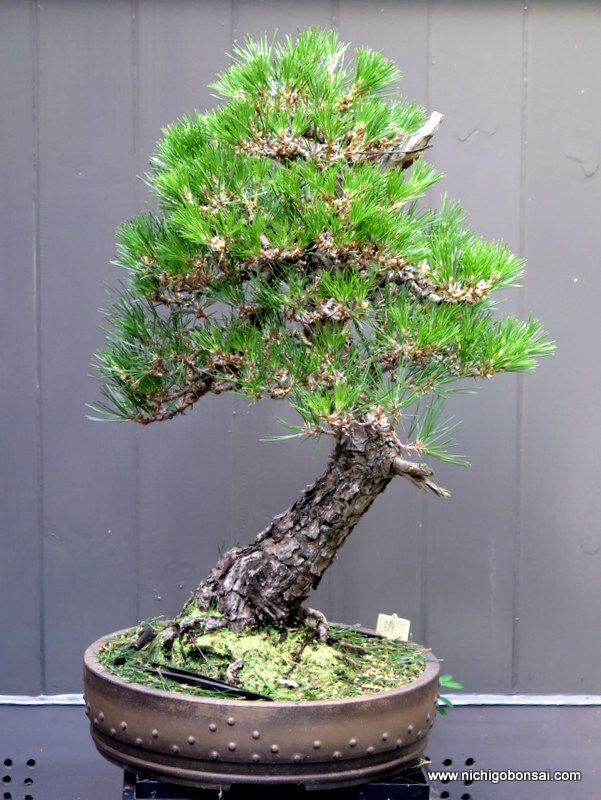 At which stage Oyakata strolled past and gave his review of the tree. I sat and listened and took on board what he was saying, nodding and agreeing with everything he was saying. Every point he made was spot on and I could see the issues the minute he mentioned them. I felt a little embarrassed I hadn’t picked them up myself as I had been staring at this tree for the best part of a day and hadn’t actually seen the errors that were right in front of my nose. My eye had got lazy and my work had suffered as a result. Oyakata had made a couple of small changes that made big difference. He slightly adjusted the front angle which moved the back branch (between apex and first branch) into a position that gave some indentation to the outer silhouette. This broke up the rigid silhouette and made the canopy outline more interesting. 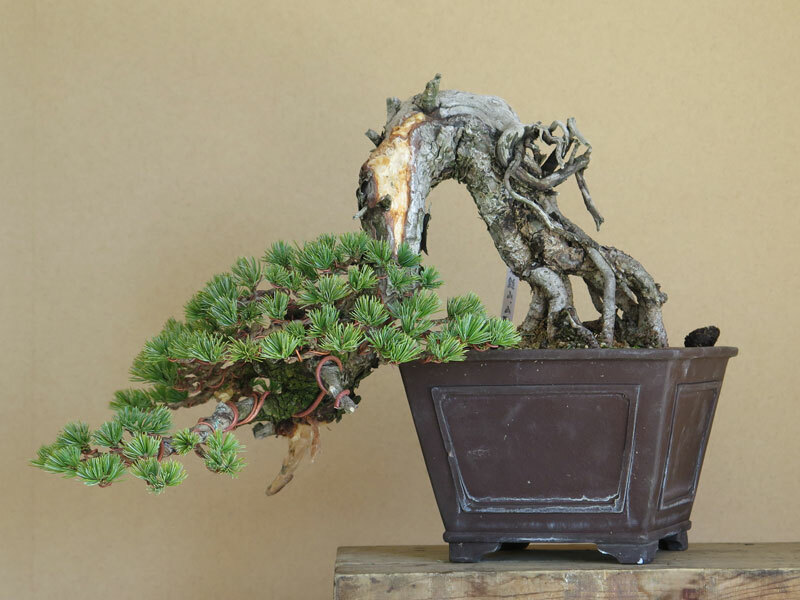 He also broke up the large mass of the apex by bringing some negative space into the apex foliage, exposing a section of trunk. This added layers of detail and changed the appearance and perceived scale of the tree. He then slightly separated the bottom edges of the two pads on either side of the apex. Looking at the above image with this in mind, the separation could be enhanced to create some more dynamism in the future. Now nothing that Oyakata did was earth shattering. All his adjustments were quite simple design changes that I already should have known. The issue was that I had stopped looking at the tree analytically and rather had got caught up in the over all form. It probably had something to do with it being the end of the day and perhaps i might have picked up these changes had I come back to the workshop fresh in the morning but it is an important reminder to not just look at your trees. You should look analytically so that you really ‘see’ what is going on. I am sure you all have trees on your benches that you look at every day, who’s form and structure you have become accustomed to and have stopped looking for improvement in. We all do it and it is one of the major contributing factors as to why an artists bonsai stagnate. Small changes can have big effects, so get out there and really try to ‘see’ what you are looking at. Challenge what is in front of you and always look for improvement. 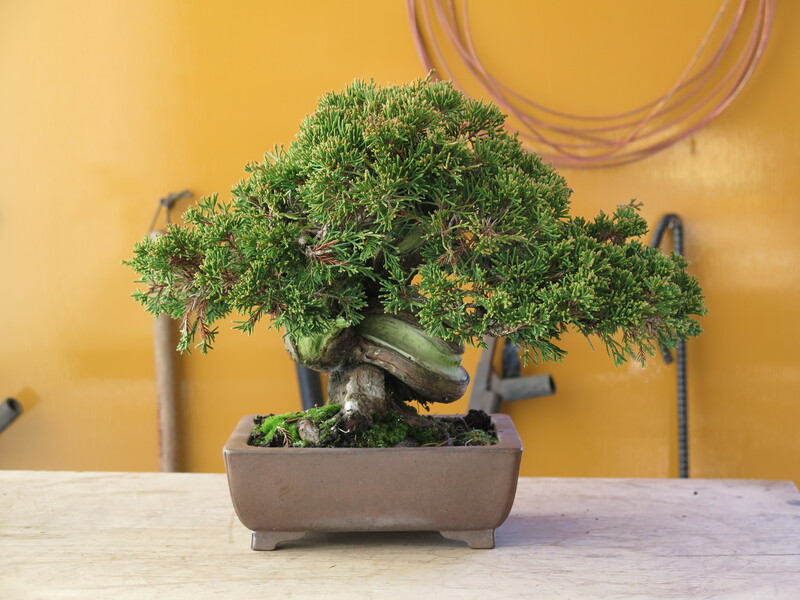 Most skills in bonsai can be learnt in a short time frame but developing your eye and keeping it active and critical, especially in regards to your own work, and this requires constant work over a long time frame. 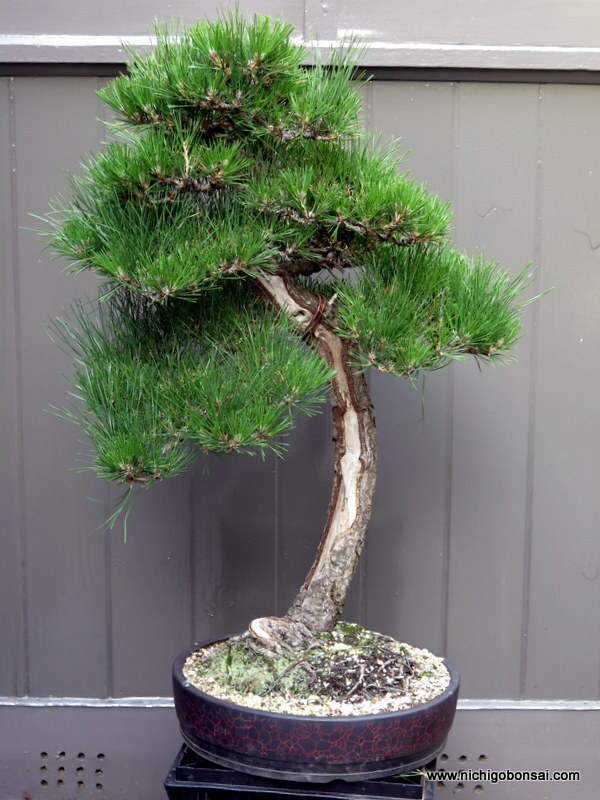 The following tree is a customer’s that is already well on its way as bonsai. The tree has had its first styling many years ago and is now at the development and refinment part of its life. The tree had just been un-wired when I received it to work on and I set about re-applying wire to fine tune certain areas of the trees canopy. Many areas in the canopy had borrowed foliage that had served it purpose and could be replaced with growth from better locations so a fair amount of branches were removed. I also focused in turning large singular pads into multiple, smaller layers to add some more detail to the tree. 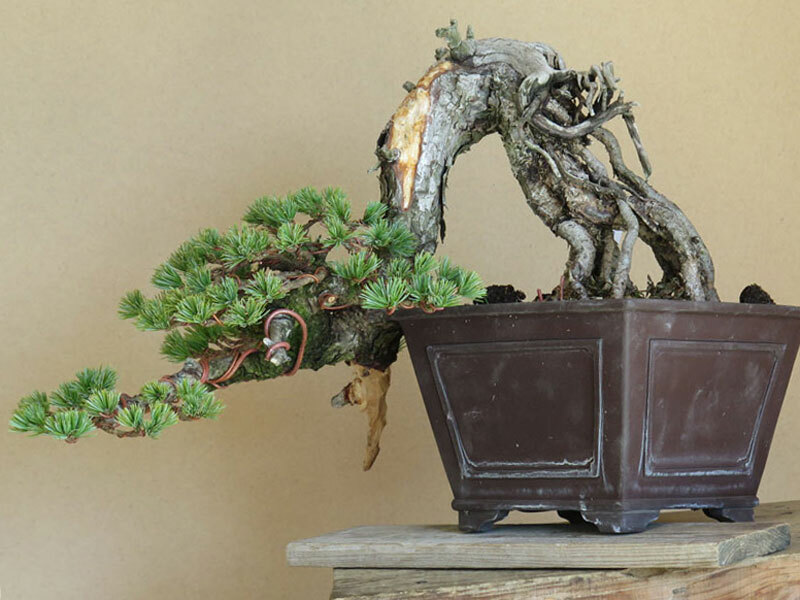 Probably the largest change to the tree was removing a portion of the first left hand side branch to reveal the elbow in the trunk and small shari. I also lifted the first right hand side branch and generally compacted the foliage mass. I think now the trunk appears much larger and the branch structure is now made up of more, smaller sized pads which add detail and give a sense of scale to the tree. 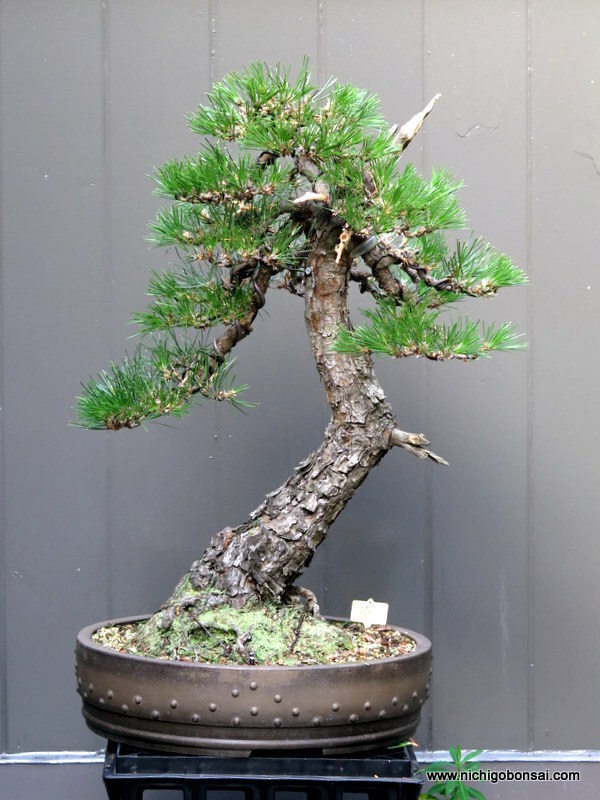 Although I have been told some people have an issue with the straight section of lower trunk, I really like the tree and don’t mind its irregular trunk. Perhaps in future re-pottings the owner could lower the planting level which might visually shorten the trunk line a little. Overall a very nice tree that was a lot of fun to work on.